For the other versions of this character, see Jack Atlas (disambiguation). Jack alongside "Red Dragon Archfiend". Yu-Gi-Oh! 5D's episode 1: "On Your Mark, Get Set, DUEL!" Jack Atlas is Yusei Fudo's former rival as well as one of his many friends in Yu-Gi-Oh! 5D's, and eventually after the first season, serves as a deuteragonist. Jack was one of the Signers with the wings of the Crimson Dragon on his right arm. He is also the foster brother of Yusei and Crow Hogan. An alternate universe version of Jack appears in Yu-Gi-Oh! ARC-V.
Jack's character design is made by Shuji Maruyama. Jack has purple eyes, fair skin and spiked blonde hair, with two much longer strands in front of his ears that hang further down the rest of his hair. His other accessories include a neckband, similar to the one worn by Yugi Muto, a belt buckle and earrings in the shape of the letter A, the first letter of his last name. Jack wears a long white trench coat lined with purple with spiked shoulders over a white plunging shirt, grey pants, and white boots. 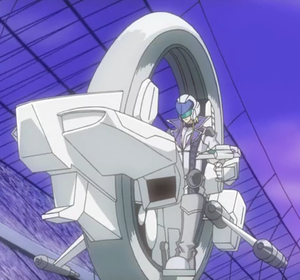 In Turbo Duels, he wears a white form-fitting motorcycling suit with a similar design to his coat, as well as a basic white helmet. In the English dub, Jack has a British cockney accent. He pronounces words like "little", "better" and "settle" as "lit'l", "bet'r" and "set'l" and words like "I" "my" and "me" as "ai", "moi" and "mei". He also makes puns on biking. Jack's personality is similar to Seto Kaiba's; he is somewhat cold-hearted, and often acts as an anti-hero. Jack is an arrogant man at the beginning of the story who thinks of his opponents as little more than entertainment for himself and his audience. As King, he believed in a pursuit philosophy; where that he would drive himself into his own pinches only to crush his opponents with his absolute comeback strategies. However, after losing to his former friend Yusei, Jack realizes what he's been missing as King and decides on starting his own journey to becoming a real Duelist. Upon meeting Carly Carmine, he realizes the error of his ways, and tries to repay Yusei and the others. Unlike Seto Kaiba however, Jack is more emotional and hot-headed who later openly shows his caring for his friends as the series progresses and he matures. Jack can be manipulative, up to the point of even using his friends to get what he wants. However, he eventually realizes the error of his ways and becomes less manipulative. During his Duels he states that he enjoys entertaining the crowd and as such is often very theatrical with his Duels. He is known as the King of Turbo Duels, but mainly goes by The King. (In the dub, he has titles, such as "Master of Faster", "King of Cards" and "King".) He talks of himself in the third person and announces to the crowd, before, during and after his Duels, "There is only one King! That is me!". (In the dub, he uses phrases, such as "Let's kick this Turbo Duel into overdrive!" at the beginning of his professional Duels. When he wins a Duel, he will often say, "Who's the Master of Faster? Who rules the Duel? That's right, it's me, Jack Atlas!"). During his Duel with Goodwin, Jack states that he gives up becoming King and is fighting for Carly and the rest of his friends. After Goodwin's defeat, he works with Yusei and Crow to help those in need rather than focusing on his own ambition, but he still maintains a grumpy attitude. He can be very much insensitive to those around him, such as his final conversation with Carly before he left the city. Jack has few applicable or even social skills other than Dueling and has been consequently fired from several jobs in one day. He also has problems with spending money as Crow grills him for spending 3000 yen (about $30 US at the time) on a single cup of coffee and being 36000 yen (about $360 US at the time) in debt to said coffee shop. He has a great love for ramen that spans from his early days when he would eat ramen along with his friends at Martha's home. He also believes that Dueling is a clash between souls, and that one who uses cards of darkness instead doesn't deserve to Duel. He has a strong pride as a Duelist, as seen when he got deeply upset when he found out that Rex Goodwin had made Dragan lose on purpose to Jack in the past, to the point of grabbing Lazar angrily and shouting at Leo. 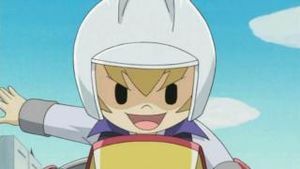 In the dub, his personality is quite a bit more malicious and his redemption and change of personality is lessened considerably, compared to his original Japanese counterpart; he framed his former friend Rally with the Duel Runner chip, for example, when in the original, Rally stole it himself and Jack is completely uninvolved and oblivious. He also remains quite mean, harsh and arrogant after his meeting with Carly, versus his greatly softened original counterpart who seems much more like a man who actually makes attempts to redeem himself. In the Japanese anime his name is spelled both "Jack Atlus" and "Jack Atlas". Kazuki Takahashi has also spelled the name "Jack Atlas". Jack is adept at hand-to-hand combat, having taken down Syd's entire gang single-handedly. 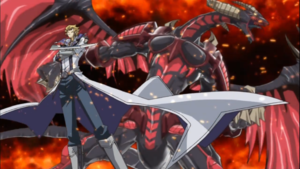 Jack, being the reincarnation of the Legendary Signer, possesses the power of Blazing Soul, which he used to seal the Crimson Devil into a card, creating his newest ace monster, "Red Nova Dragon". He has only been shown to perform Blazing Soul with the help of the Mark of Dragon in all of his Duels, minus his final Duel with Yusei. Young Yusei, Crow and Jack. Jack's parents were killed during the Zero Reverse incident and he grew up in Satellite. As a child, Jack was a lone wolf and never played with the other children. Later, he met Yusei Fudo and Crow Hogan and became one of their best friends. He was raised by Martha. In their teens, Jack, Yusei and Crow met Kalin Kessler and formed The Enforcers as a way to improve their lives in Satellite, by becoming the best Duelists there. After conquering all of Satellites zones, Kalin changed, taking Dueling so seriously that he forced a kid into a Duel and proceeded to beat him up after winning. Unhappy with Kalin's attitude, Jack and Crow left the team. After learning that Kalin was on the run from Sector Security, Yusei approached Jack to ask him to help. The reunited gang caught up with Kalin in an abandoned storage building. They told him that he had changed and tried to get him to abort the battle with Security. After Yusei stopped Kalin from attacking a badly beaten Security, Crow and Jack held Kalin in a room while Yusei tried to convince Security that he, himself, was the leader, in the hopes Kalin wouldn't be arrested. He was unsuccessful and Kalin was ultimately captured, ending the team. Yusei and Jack spent much of their time with Nervin, Blitz, Tank and Rally afterwards. Jack came into possession of the card "Red Dragon Archfiend". Jack Dueled and defeated Yusei, after which he told Yusei that one cannot win a Duel with Monster, Spell or Trap Cards alone, only with them joined up. He pointed to his heart as he said, "All you need to amass yourself in victory is right here." At the time, Yusei did not understand what he meant. 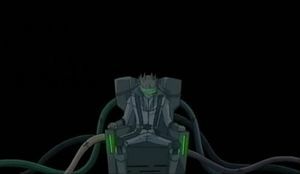 Jack sitting alone on his throne. Jack eventually fell out with Yusei after a difference in goals. 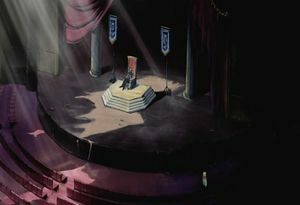 Jack aspired to be a King and spent a lot of his time sitting in a throne in an abandoned theater. He spent little time with his friends, although Rally occasionally visited. Jack once saved Rally from a group of bullies, but didn't stick around to converse. Accepting Lazar's offer, Jack tied Rally up and left him in a boat floating in the sea. He alerted Yusei, who came there on the Duel Runner he had built. Jack forced Yusei to choose between himself and Rally's life in order to get what he was after. After Yusei dove into the water to save Rally, Jack took Yusei's "Stardust Dragon", as well as the Duel Runner. He then made his way into New Domino through the trash pipeline. At an unspecified time, the Duel Runner Jack took breaks down. In the dub, his new Duel Runner, Phoenix Whirlwind (Wheel of Fortune in the Japanese version) is the old Duel Runner, after modifications. 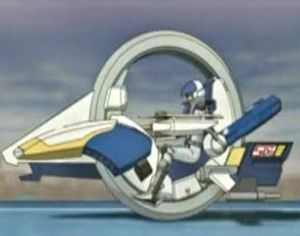 Jack's Duel Runner, the Phoenix Whirlwind. Jack then became the Turbo Dueling Champion and moved into the compound of Rex Goodwin, who tried to conceal Jack's origins from the public. As the King of Duelists, he was adored by the New Domino City public and his fame has been marketed, even to the point where both he and his "Red Dragon Archfiend" card have their own action figures. Also, at an unspecified time Jack faced Bolt Tanner in a Turbo Duel and defeated him on his first turn. This also occurred with Dragan while facing him in a Duel King Title Match. Two years later, when Yusei ventured off into New Domino City to take back his "Stardust Dragon" card, he and Jack had a rematch, but it was interrupted by the appearance of a mysterious red-colored dragon, later revealed to be the Crimson Dragon. He later learned from Goodwin that he is a "Signer", a savior predicted to prevent the resurrection of a dark god by a Pre-Incan civilization. Although conflicted about maintaining his title even though he technically lost to Yusei, Jack complied with Goodwin's plans in the hope of truly validating his title by finally defeating Yusei in the Fortune Cup and gave "Stardust Dragon" back to Yusei as a sign of competition. Yusei faced Jack for the title of King of Turbo Duels, as he has beaten every opponent on the Fortune Cup. Before their Duel commenced, Jack recounted the events that happened two years ago that lead ultimately to the road of him becoming King. Also, now that he was finally facing Yusei, he told Goodwin to let Rally and the others go since, there is no further need for them to being held hostage. Before their Turbo Duel started, Yusei saw them on the screen, and once they were free, Jack said that there was nothing holding them back. During the Duel, Jack refused to let Yusei win, revealing that in order for him walk to the path of becoming the King, two years ago he gave up everything by turning his back on Satellite and on everyone else he knew. Thus, thinking that all of that happened because of the dragon birthmark, he believed now that Yusei has the chance to become King without giving up anything. Jack did not want that to happen. As he Dueled against Yusei, once again the Crimson Dragon appeared, and took Jack, Yusei, Luna and Akiza to another dimension, showing them visions. Jack told Yusei to continue since, it's their Duel that is responsible for them being there. He pushed Yusei, thinking that he will finally win. Jack unleashed his devastating combo, however Yusei has already foreseen this, and managed to counter. 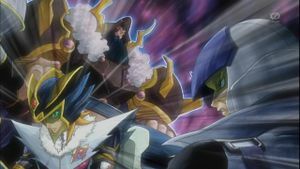 Yusei's "Stardust Dragon" unleashed its final attack destroying Jack's "Red Dragon Archfiend", consuming the last of Jack's Life Points; The Duel Runner he was on was completely destroyed and Jack crashed into a guardrail. Jack was thrown from his Duel Runner and was badly injured. Yusei was announced as the new king and Jack was carried out on a stretcher after Jack gave some words of wisdom to Yusei. Jack was transferred to Domino Hospital to recover away from the prying eyes of the public. Carly Carmine snuck into the hospital, disguised as a nurse in an attempt to interview him. Trudge, now under the Dark Signers' control, suddenly came and challenged Jack. Jack's arm was broken at the time, so he asked Carly to assist him in the Duel and hold his cards. Jack and Carly managed to defeat Trudge, blowing up a portion of the hospital in the process. Before Jack fainted, he asked Carly to get him out without notifying the reporters outside. Carly snuck him out on a gurney as a body with a sheet over it. Carly disguises Jack to avoid media attention. Jack woke up in Carly's place after envisioning a meeting with the Dark Signers in a dream. Carly went into Jack's room only to find the man gone. She then followed him to the monorail where he was attempting to get on the train to leave. In the end, Carly convinced him to come to an amusement park with her with the intention of having him relax so she could interview him. She changed her mind however after hearing how hurt he was over losing the title of King to Yusei Fudo. After spending some time with Carly, Jack started to show signs of guilt for betraying his friends and shame for how he let Goodwin use him. Carly suggested that the real Jack Atlas was returning and that the old Jack was the real one defeated by Yusei. She suggested that it was fine for him to become a real King now (in the dub, she suggested that Jack should say sorry to his friends, mainly Yusei). Jack put on his jacket and agreed with her, after which he vowed to never let himself get used by people again. Jack responded to a call at Carly's apartment from Mina Simington and flies back to Satellite. Here he watched the Duel between Yusei and Kalin. Yusei got impaled in the course of the fight and is taken away by Crow to receive medical attention. Jack demanded the helicopter be landed, but Mina tells him that he had nowhere to go without his Duel Runner. Jack was forced to go back to New Domino City and wait for the next Dark Signer attack. After returning to the city, he and Mina told Carly she had best not get involved and Jack broke her camera's memory chip to hide the conflict between the Signers and the Dark Signers. After Jack's Duel Runner was repaired by Goodwin, he told Mina that he would go to Satellite and make his own "road" rather than "Road of the King" he had previously been on. After the Arcadia Movement headquarters were damaged by a Dark Signer attack, Jack evaded the flaming geoglyphs as they form. He made his way to the building, unaware that Carly is the Dark Signer responsible. After the Duel, he came across Luna, Leo, Yanagi, and Tanner leaving the building. They told Jack that Akiza was inside and may need help. Jack entered the building to look for her and found Carly's broken glasses inside. He found Akiza unconscious and took her out of the building, unable to find Carly in time. Jack immediately took Akiza to the hospital to get help for her, thinking Carly had been sacrificed to the "Earthbound Immortals". Akiza was in a comatose state and is visited by her parents Hideo and Setsuko. Jack told them that Yusei may be able to help her, which he does in the end. He also says that the Signers still have a lot to learn about each other, and the only way they met each other was through Yusei. Jack, along with the other Signers, were invited by Rex Goodwin to his house to learn more about the Signers and Dark Signers. He was told that the Signers are drawn together and guided by faith. After learning about the Dark Signer's powers, Jack believed Carly to be among their victims, who were sacrificed when the two "Earthbound Immortals" were Summoned. Seeing how much Yusei was afraid of Kalin, and that he has lost confidence after his last encounter, Jack punched Yusei in the hopes that a fight would cause Yusei to regain his determination. Yusei thanked Jack and accepted that they must fight the Dark Signers to protect people. Hearing this, Jack remembered that he must protect Carly. After the Dark Signers unleashed the black fog on Satellite, Jack along with the other Signers, Leo and Mina are flown by a helicopter piloted by Trudge to Satellite. In Satellite they meet up with Martha, who was happy to see Jack back after many years. The reunion was cut short as Yusei found out that Rally, Crow and the others have disappeared. Mina became greatly upset over Jack's feeling for Carly after seeing him with her glasses while he was saying that he was fighting for people. During supper, Roman appeared in order to Duel. Jack wanted to Duel him but is stopped by Yusei, who tells him that its too dangerous to Duel a Dark Signer here. Following Yusei's instructions, Jack took Martha and the kids to safer place. John, Mitch, and Taka snuck away to watch the Duel and to help Yusei however they could. As Roman Summons his "Earthbound Immortal", Jack quickly appears and rescues John and Mitch from being sacrificed. After Yusei's match against Roman concludes, Jack, Akiza, Luna, along with Leo, are there, as the rest of the Dark Signers show themselves. After Jack realized Carly is one of them, he chased after her and asked why is she one of them. Carly responded, "If you want to know the answer, come to see me". The Signers split up to face their respective opponents at the four control units for the Original Ener-D Reactor. 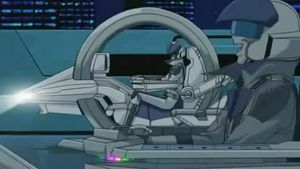 Jack took his Duel Runner to the Hummingbird tower, where Carly showed herself on her own Duel Runner. Jack and Carly ruling as Dark Signers in Carly's vision. 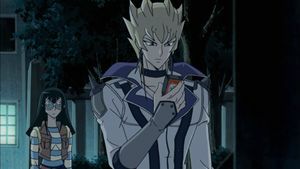 During their Duel, Carly used the card "Enlightenment", causing Jack to see an alternate future in which he lost his Duel against Carly and died. Carly kissed him, reviving him as a Dark Signer (in the dub, he gets infected by the spreading darkness), and together they defeated the Signers. They turned the world into a Hell, in which they ruled as King and Queen. During the course of the vision, Carly's glasses slipped from Jack's coat, causing him to remember Carly as she normally was and snap out of the vision. Jack told Carly that that wasn't the fate she truly wanted and activated his Trap Card while showing her her glasses. It allowed Carly the choice between recovering her own Life Points or damaging Jack for half the ATK of her "Fortune Lady Earth". Carly turned to accept the choice of inflicting damage on him when she hesitated and, in the end, turned down a chance to win the Duel in favor of saving Jack. However, her Earthbound Immortal, "Aslla piscu" possessed her and forced her to continue the Duel. She managed to Summon her "Earthbound Immortal" after this possession. Jack embraces Carly before she turns to dust. Following this Summon, Jack began to focus hard on trying to save Carly, whom he realizes he loves. This caused the Marks of the Dragon to leave the other four Signers and appear on Jack's back, allowing him to Summon "Majestic Red Dragon". Jack attempted to end the Duel in a DRAW, deciding that if he had to cause Carly's death that it would be acceptable if he died along with her. However, Carly's normal self managed to take control and activated a Trap Card that forced her to lose. She and Jack embraced before she turned to dust, Carly finally confessing her love to him. Jack proceeded to activate the control unit. After Akiza's Duel with Misty Tredwell, the sun set before the final unit can be activated and the condor geoglyph appeared in the sky. The King of the Netherworld appeared from the original Ener-D reactor, and moved towards the City. The Crimson Dragon transported Jack and his companions to Goodwin's island residence. Jack noticed the Stairway to the Dragon Star has smashed through building. Goodwin stood at the top of the stairway, where he revealed that he has became a Dark Signer and became a Signer by attaching Roman's arm to himself. Goodwin prepared to sacrifice a Signer through a Turbo Duel ritual to welcome the Ruler of the Underworld. Jack, Yusei, and Crow faced Goodwin in a 3-on-1 Duel. 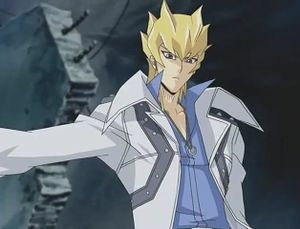 During the Duel, Goodwin suggested Jack not to work with Yusei, and become a true King. Jack remembering Carly, refused, and his Life Points were lowered to 1. Soon after, he crashed and was unable to Duel any further. After Yusei defeated Goodwin, he was saved by "Majestic Star Dragon". Half after the battle with Dark Signers, Jack was working with Yusei and Crow in developing a new Duel Runner engine, though during a test the engine overloaded and exploded. Afterward, he later assisted Yusei and Crow in tracking down Ghost. After Yusei defeated Ghost, they found out he was a robot and Yusei believed a new threat was approaching. Jack at the Duel Statue. Jack often went to Cafe la Geen and bought expensive coffee, such as Blue-Eyes Mountain. However, Crow yelled at him for slacking off and demanded that he got money for new parts. Jack attempted to find honest work, but he was fired from every job he attempts, due to his ego and his obsession of himself being a Signer. After one such failure, he and Carly learned about a money trader named Don Piero who ripped people off by making them sign false documents. Jack then challenged Pierro to a Duel for those contracts, putting up his "Red Dragon Archfiend" and the Phoenix Whirlwind as antes. Jack ultimately won, however he still couldn't find a job. 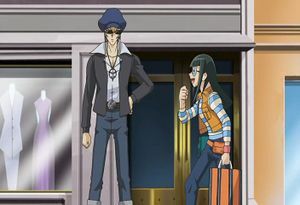 On the day of Akiza's final Turbo Dueling exam, Crow and Jack helped Yusei modify and improve her Duel Runner so she can Turbo Duel and obtain her license. Like the rest, he was present during her first official Turbo Duel, in which she was able to defeat Trudge. Several other students had attempted to saboatage Akiza's match, prompting Jack to beat them up. Sometime later, Carly informed Jack of Duel Runner thieves. With his pride as a Turbo Duelist, he decided to try and capture the thieves, but when one pulled a gun on him, one of the thieves suddenly tried to stop him and took the shot instead. As Jack stopped to check on the fallen man, Trudge appeared and informed him that the man was actually an undercover agent named Kaz. Feeling guilty, Jack borrowed Kaz's "Chaos King Archfiend" and hunts down the thieves, getting beaten up numerous times before he followed them to their hideout. Once he arrived, he and the ringleader engaged in a Ground Duel to the death. Jack seemed to be on the verge of losing, but then Summoned the agent's Synchro Monster and won the Duel. When Trudge and his officers arrived, Jack had already beaten up all the gang members and had them piled up. Later, Jack returned the card to the recovered agent, then they shook hands and Jack vowed to Duel him someday. Jack began to try and develop applicable skills. For example, he made a table and chairs out of leftover parts one morning. However, this attempt was ill-fated, as when Crow sat down, the chair broke apart underneath him. After Leo and Luna's loss to Lester, Jack and Crow discussed the changes that have recently taken place. 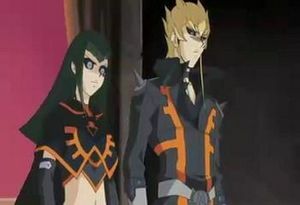 The two grow concerned for Yusei, and they decided to go find him and figure out what's troubling him once and for all. When they meet with Yusei, he revealed his unease around Ghost, and told them that he suspected that Iliaster is behind everything, as Roman had told him that it was a man from Iliaster who set him down the path of becoming a Dark Signer. Furthermore, they were using the WRGP for some mysterious plan, if Sherry was to be believed. The three decided to work towards mastering Vizor's Accel Synchro Summon as a means to effectively combat the new Iliaster plot and to protect the city. When Yusei takes in an amnesiac named Bruno, Jack was initially distrusting and very hostile towards him, as Bruno had been found working on Jack's Phoenix Whirlwind without permission. When Jack was suddenly arrested by Sector Security, the word of him being a suspect got around. Trudge showed Yusei, Bruno, and Crow a security clip of Jack purposely destroying Duel Runners during Duels. They all assume that it was Jack because of the Phoenix Whirlwind and the exact same Deck. When Jack escaped Security, he set out to find the culprit. He later confronted the impostor, a duplicate of Jack calling himself "The King". When Jack faced the mystery Duelist, he ended up defeated by his own monster, "Red Dragon Archfiend" and seemingly fell into the sea. It was revealed that the impostor was a Duelbot as a part of the Three Pure Nobles' (namely Jakob's) plan to use the Signers for their nefarious scheme involving a "circuit" of some kind. Jack did not die but was actually captured and hidden in a cave while being shown what the impostor is doing, this time wreaking havoc on the highway. He was also under the careful watch of the trio by the use of a machine. Eventually, seeing his friends (Yusei, Crow, and Kaz) getting injured trying to figure out who was the so called 'King', Jack's willpower caused the machine to break, freeing Jack from his mental prison. He then escaped from the cave he was hidden in and chased after the impostor. Jack intercepted the impostor before he was could harm Yusei and then challenged the impostor to a Duel. During the Duel, the impostor constantly taunted him, telling him that he is now weaker than his former self. Jack Summoned his "Red Dragon Archfiend" quickly with "Trust Guardian" but got pushed into a corner very early in the game as the impostor Summoned his own "Red Dragon Archfiend" and boosted its ATK. When it seemed Jack was winning, the impostor unleashed his ultimate weapon: the Summoning of three "Red Dragon Archfiends" (they were colored blue, purple and yellow). The full Crimson Dragon birthmark on Jack's back. The three dragons nearly wiped out Jack's Life Points but he was saved by his "Red Dragon Archfiend", which was protected by "Trust Guardian". Jack then made his final move and Summoned "Majestic Red Dragon" and gained the ATK of the impostor's "Red Dragon Archfiend" before attacking and defeating him. The attack destroyed the imposter and all of his cards. Jack also appeared in Crash Town. 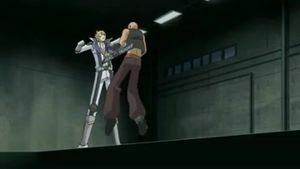 After Lawton canceled his Duel with Kalin and Yusei, he tried to shoot Kalin, but he was intercepted by Crow's "Blackwing - Gale the Whirlwind. Seeing this, Barbara tried to attack Nico and West in order to control Kalin, but Jack prevented her from doing so. He declared that he doesn't like to harm ladies, but would make an exception in her case. Later, before they returned to New Domino City, they said goodbye to Kalin, who decided to stay in the city to protect Nico and West after they lost their father. During the first round of the WRGP, Jack was the first in line against Team Unicorn, facing Andre. The Duelist who rounded the first turn of the track first was awarded by taking the first turn. 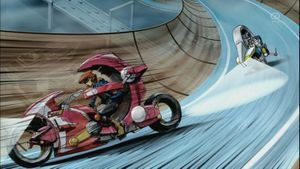 As Jack raced towards the turn, he appeared to have secured the first turn, though Andre used the overboost system to propel him around the corner. With his first turn, he Summoned "Red Dragon Archfiend", believing the Duel to be a match of Power Decks. Andre, however, was able to counter Jack's moves, destroying "Red Dragon Archfiend" and damaging the Phoenix Whirlwind in the process. 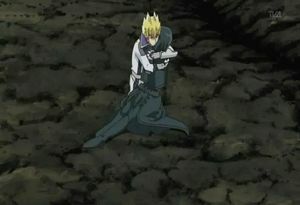 Jack continued Dueling without noticing the damage, though it is seen by Yusei andBruno, who called him back to the pit. Jack refused to give up, continuing on. After taking some damage from Andre's attacks, Jack managed to re-Summon his "Red Dragon Archfiend" and inflict the first damage by Team 5D's. Andre, however, was able to counter Jack's moves once again, and ended the Duel using the effect of "Speed World 2". The damage suffered by Jack's Phoenix Whirlwind caused the braking system to malfunction, resulting in him being thrown from it while it spun out of control and crashed. Jack was able to walk his Phoenix Whirlwind off the track and got the "active Duelist" tag to Akiza in time to prevent the team's disqualification. Jack was hospitalized and taken care of by Carly, Mina, and Stephanie. However, as Yusei continued to battle Jean, Jack urged his friend on after forcing himself back to the arena. After Yusei's victory, he congratulated his friend, glad to see that their dream lived on. Jack Dueled Nicolas, after Crow defeated Hermann. Due to effect of "Power Giant", he managed to dodge the final blow from Nicolas' card of darkness, "Doom Ray", and only Nicolas lost all of his Life Points and his Duel Runner was destroyed. Due to this victory, Team 5D's won the match, and proceeded to the finals. Jack heard about Diablo, the army of Duelbots that Primo released, so he went with Kaz to stop them. After beating several Ghosts, they left him and attacked Yusei, Sherry and Elsworth, beating Sherry and Elsworth, leaving Yusei to fight the rest alone. Jack and Kaz defeated a few of the Ghosts and noticed that the sky had turned ominous. Jack worried that something big is about to affect the whole city. Jack went to Nazca with Yusei after Yusei received an e-mail from Greiger. Grieger wrote that he had a dream in which Jack was killed by his "Red Dragon Archfiend", causing him to invite Jack and Yusei. He told Jack that the former King needs to find a new way of battling, although Jack refused by sticking to his traditional style of power. Jack and Max, Greiger's little brother, engaged in a Duel that evening. Although Jack quickly pulled out his "Red Dragon Archfiend", Max's traps countered his strategy and reflected his attack. As a result of the blow, Jack is knocked off his Duel Runner as the Duel is canceled. Wondering why his strategy failed, Jack leaves the others behind for a time. While driving, he founded a devastated village where only an old man remained. The man told Jack that the destruction was the work of The Crimson Devil when questioned by the Duelist. The man was quickly possessed by the Familiar of Red Nova, who told Jack that if he desires power, Jack needs to go to the temple and Duel him. Jack then went to Greiger's temple and, ignoring Max, went to a secret passage beneath it. There he found the Familiar, who explained that a Duel between them would serve as a ritual. If Jack won, he would gain a new power, yet if he lost, the familiar would use his body as a sacrifice to awaken Red Nova. The Duel started, although Jack quickly lost many Life Points due to the Familiar's burn Deck. While they were Dueling, Yusei, Greiger and Max arrived. The Familiar, seeing them, blocked the exit, preventing them from leaving. An unknown creature appeared within the abyss beneath the Duel, which Greiger recognized as Red Nova, the ultimate "Earthbound Immortal", who was sealed after he lost to the Crimson Dragon in a battle 10,000 years ago. After hearing that Red Nova is in fact an "Earthbound Immortal", Jack was shocked and understood that he needed to win or he would be used as a sacrifice to Summon the "Earthbound Immortal". Jack Summoned "Red Dragon Archfiend" as the Duel continued. After losing almost all of his Life Points due to Jack's strategy, the Familiar Summoned his ace card, "Abyss Ruler Mictlancoatl". Jack successfully dodged the attack, but bears witness to the awakening of Red Nova. Greiger then explained that Red Nova was previously stopped by Blazing Soul that was once possessed by a Legendary Signer. Greiger believes that Jack is the current incarnation of the one who originally defeated Red Nova, shocking Yusei. Before Red Nova can attack, the Crimson Dragon appeared, helping Jack to capture Red Nova's power and transform it into "Red Nova Dragon". With it, Jack easily defeated the Familiar. 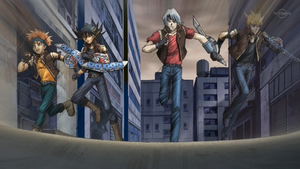 Afterwards, Jack and Yusei said goodbye to Greiger, Max and Annie and afterwards returned to New Domino City. Sometime later, Jack led Yusei, Crow and Bruno to find Red Demon's Noodle, a brand new cup ramen. During the search they met Lazar, but before they could catch him, he escaped. Later, Jack devised a plan to catch Lazar. The next day, they set up a stand promoting Red Demon's Noodle. Crow was chosen to dress up as Cup Ramen Man because he lost to Jack in rock-paper-scissors. After Crow defeated some people, Lazar appeared, but he escaped again. Still, they managed to find him, and Crow Dueled him. Crow won, so Lazar was forced to reveal everything he knew about Iliaster. During the examination, after Lazar told his history in which cup ramen had a big role, Jack gave him all the supplies of Red Demon's Noodle. Jack told him that he also loved cup ramen while he was young. Because Lazar didn't say anything about Iliaster, Sherry] destroyed the cup ramen, shocking Jack. Later, Lazar remembered that the name of the organization which sent the directors is in the Sector Security database, which was disguised as a Turbo Duel game. After Akiza easily won, Jack decided to Duel, but he lost. After he complained that the game needed some sort of combo, Yusei told to him that he just missed the timing. Using a different approach to Jack's strategy, Yusei won, and the name of the company appeared. Its name was Momentum Express Development Organization, which surprised everybody. Jack then went with Yusei and others to talk about Momentum Express Development Organization with Rick. Jack noticed that the organization's business is very suspicious. After Yusei, Sherry and Bruno were sent into a wormhole by Clark Smith, Jack and the other Signers were protected from Iliaster's falsification of history by their marks. Jack, along with the other Signers and Elsworth, went to the dock, where they were reunited with Yusei and Bruno. A few days later, Jack went with Crow and Akiza to watch the Exhibition Duel of Team Ragnarok. Jack was chosen by Dragan as his opponent and the Duel commenced. Jack immediately Summoned "Red Dragon Archfiend", but Dragan used his relentless attack as an opportunity to Synchro Summon his strongest monster, "Thor, Lord of the Aesir". Dragan said to Jack that he expected more from the former King, then declared an attack. "Red Dragon Archfiend" and "Thor" clashed, causing the sky to darken and the arena to tremble with the force of an earthquake. Hastily, Lazar interrupted the Duel to avoid more damage. Jack was the first wheeler against Team Taiyo, facing Yoshizo. Jack quickly Summoned "Red Dragon Archfiend", but his attack was stopped by Yoshizo's strong defense. Jack understood that Yoshizo was stalling, but he didn't know the reason. He finally managed to destroy Yoshizo's ace monster, "Hand-Holding Genie", and inflicted piercing damage through Yoshizo's weak Defense Position monsters using "Lancer Archfiend". However, during his Duel with Jinbei, the second wheeler of Team Taiyo, Jinbei Summoned his own "Hand-Holding Genie". Seeing this, Jack decided to end the Duel as a Draw. 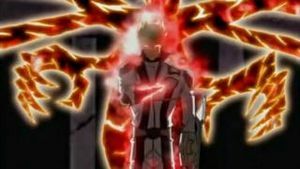 He powered up the attack of "Red Dragon Archfiend" and activated "Shockwave", destroying "Red Dragon Archfiend". However, only Jack lost all his Life Points because Jinbei activated "Gift of the Mystical Elf". At the pit, Jack warned Crow to not let Jinbei continue to line up his turns. After Crow asked him why, Jack answered that it is was a hunch, which unnerved Crow. Jack, along with the others, was surprised when Yusei Summoned "Shooting Star Dragon". After Yusei won, Jack, Crow and Yusei congratulated Team Taiyo on a good and well-fought match. Jack was present while Team Ragnarok explained to Team 5D's how they obtained the Aesir monsters. Dragan revealed said that he Dueled Jack while he was King. He lost on purpose because Lazar ordered him in exchange for money for his father's medical treatment. This surprised Jack, and he declared that they will settle their score in the match between Team Ragnarok and Team 5D's. Jack facing Dragan and his "Thor, Lord of the Aesir". A day before the Duel, Jack was upset because he didn't know that Dragan lost on purpose in their last match. He went to Lazar to talk about the Duel, and after he threatened Lazar, Lazar told him that all Dragan said was true. Later, at Poppo Time, Jack arrived shortly after Yusei and others watched his Duel on DVD. Leo tried to cheer him up, saying that Dragan only lost because he wanted money. Jack then began to shout at him, saying that Duelists never sold their pride for money (in the dub, he yells at Leo because his title has been a lie). However, Yusei talked to Jack later, and he managed to encourage him. The Duel started on the next day. Jack managed to pass the first corner ahead of Dragan, giving him first turn. Jack and Dragan both drew the exact same hand as they had in their first Duel. Believing it to be fate, Jack began the Duel with same moves as before, but this time Dragan activated the trap that he didn't activate last time. Still, Jack countered him with his own trap, Summoning "Top Runner". He used its effect, powering up "Red Dragon Archfiend". However, Dragan Summoned "Thor" on the next turn. Dragan then used its effect and destroyed "Red Dragon Archfiend". This move shocked everybody in the audience, as well in the pit of Team 5D's. Without his ace monster, Jack powered his defense, but Dragan destroyed all Jack's monsters and lowered his life to a slim 900. However, in a comeback, Jack turned the Duel around by using Blazing Soul and Double Tuning for his new ace monster, "Red Nova Dragon", shocking everyone in the stadium, including Team Ragnarok. Even though Dragan puts up a resistant front, Jack still manages to defeat him. Dragan then said to Jack that he now accepts his loss, but that the real winner will be Team Ragnarok. Then, due to its effect, "Thor" revived, lowering Jack's Life Points to a mere 100. When he faced Brave, the second wheeler of Team Ragnarok, he was defeated thanks to the effect of "Thor", depleting his Life Points and destroying "Red Nova Dragon". In the WRGP final, he was the first wheeler from Team 5D's. His first opponent was Lester from Team New World. Jack managed to beat him in a few turns using "Red Nova Dragon" and "Force Resonator. His second opponent was Primo. Just like with Lester, he defeated him quickly with "Red Nova Dragon", destroying "Meklord Emperor Wisel". However this was Team New World's plan. When Jakob, the final Duelist from Team New World, appeared, Jack was defeated with a single attack from "Meklord Emperor Granel", which had its ATK powered up thanks to "Infinite Aura" and the absorbed "Red Nova Dragon". Jack barely makes it into the pits without collapsing, where he is promptly taken to the infirmary on a stretcher, Carly, Mina, and Stephenie close behind. He, along with the rest of Team 5D's, witnessed the visions of the future that the Three Pure Nobles showed them. He is in disbelief, unsure of what to think, but continues to believe in Yusei and the future he and his friends are making. After the Emperors fuse into Aporia, Jack and Crow head onto the Daedalus Bridge tracks to support Yusei. He cheers him on as he fights Aporia. Jack, along with the rest of the team, accompany Yusei to Divine Temple. They are split into three groups due to a trap, with Jack ending up with Leo and Luna. The three travel to the center of the structure. When they arrive at the gear, they encounter Aporia, who was revived by Z-one. He forces them into a 3 on 1 Duel with their lives on the line via devices attached to their hearts. Jack manages to Summon his "Red Dragon Archfiend", but Aporia manages to destroy it due to a mistake made by Leo. Jack and Luna end up taking a whole lot of damage and collapsing, leaving Leo devastated. However, they manage to get back up and continue the Duel. Later on, Leo is killed after he Summons his "Power Tool Dragon" and Luna's "Ancient Fairy Dragon". Jack witnesses Leo reviving and becoming into the sixth Signer. After Leo Synchro Summons "Life Stream Dragon", their lives are saved due to its effect. Aporia still tries to resist by increasing the ATK of his "Meklord Astro Dragon Asterisk" to 8300. However, due to a combo between Leo and Luna, they decrease its ATKs to 2900. Aporia asks why is it that humans keep hurting his heart and wonders if it's because of his despair. Jack explains that Aporia doesn't feel despair, he feels hope. He explains that, while Leo was fighting for Luna, Aporia fought for Z-one, and because he was thinking of Z-one while Dueling, Aporia felt hope. In the end, thanks to Leo and Luna's help, Jack destroys "Asterisk" with "Red Nova Dragon" and defeats him. The three of them escape and continue on to the center of the Divine Temple. He and the twins later reunite with Yusei when Yusei defeats Antinomy, opening the door to the Support Gear. When talking to Yusei, Jack praises Leo's Dueling skills, saying that Yusei should have seen the Duel. After that, when Yusei says that Antinomy was Bruno and that he died to save Yusei, Jack says that they must move forward in order to avenge Bruno. When they find Z-one, Aporia appears and Duels against him in an attempt to reason with him. However, that fails and when Aporia loses, Jack gives Yusei his "Red Dragon Archfiend" to aid him in the final Duel against Z-one. 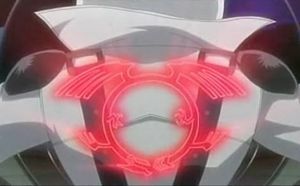 During the Duel, Z-one's mask is damaged and Jack is shocked to see Z-one having the same criminal mark as Yusei. Yusei and Jack Dueling for the last time. 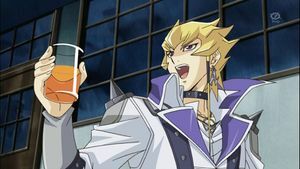 Months later, Jack, having received an invitation from the Ride Ace Dueling league, is prompted into becoming the World King. Therefore he goes around and defeats the best Duelists he could think of such as Greiger, Sherry, and Kalin. Soon after, he finds and challenges Yusei to a Duel, which the latter accepts. Despite attacking relentlessly and Summoning strong monsters such as "Exploder Dragonwing" and even his most powerful card, "Red Nova Dragon", Jack eventually loses to Yusei after his "Red Dragon Archfiend" gets destroyed by Yusei's "Junk Warrior". After this, Jack leaves New Domino City behind he is later seen to be the King of the Ride Ace Dueling League, making him the World King, eight years later. He receives a challenge from Crow, who had recently moved to the Ride Ace League from the Shingon League. Jack openly welcomes the challenge, declaring that until he beats Yusei in another rematch, he will not lose to anyone. This also implies he has been undefeated the past eight years since his loss to Yusei. Ever since their childhood, Jack and Yusei have been best friends. This lasted up until Jack stole Yusei's Duel Runner, "Stardust Dragon" and deserted his Satellite friends for a life of luxury in New Domino City. When Yusei defeated Jack during the Fortune Cup, their friendship began to repair itself. As they spent more time together, they conversed more and managed to patch up their differences. Even though they are best friends, they have maintained a rivalry throughout the anime. Crow and Jack were good friends since childhood as well. 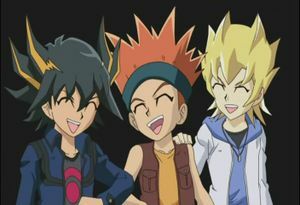 Crow was primarily uninvolved in the rivalry between Jack and Yusei, but after their friendship is repaired, Yusei, Crow and Jack become friends again. Crow seems to dislike some things about Jack, such as Jack often refusing to work while Crow and Yusei had to do jobs to make the rent on their house. Crow also dislikes Jack's stubbornness and occasional refusing to work together as a team with him and Yusei. However, despite their differences, Crow and Jack still deep down always look out for each other and help each other. Jack and Carly shortly after they met. Ever since the start of the Dark Signer Arc, Carly Carmine had been trying to get close to Jack, as she wanted to get a "scoop" on him after his loss of his title of the King. Even though her intentions were at first professional, she developed a caring bond with Jack which blossomed into a friendship. This was especially shown when Carly became a Dark Signer and Jack wanted to end the Duel in a DRAW so they would both lose together, because during the Duel he realized he loved her. But Carly, using all her strength, overthrew the dark power and depleted her Life Points to 0 before Jack could lose. While she was dying in his arms, Carly told Jack she loved him before she vanished to dust (the latter confession was removed in the dub). Since she revived from her apparent death, Carly has joined Jack on various quests throughout the anime, and continuously displays her love for him, even though he ignores it. She always attends Jack's Duels and cheers him on from the sidelines, along with Jack's other "fangirls", Stephanie and Mina Simington. Jack acts as a surrogate father/older brother to Leo and Luna, even though his stern and strict demeanors don't sit well with them sometimes. Despite his tough and mean attitude, he actually does care about them, and always tries to protect then from harm, as shown during their Duel against Aporia, where he continues encouraging the twins to fight on with hope, and never give into despair. He's also mad at Aporia for involving the twins in their Duel, and always tries to shield them from harm. In return, the twins have come to admire and respect him, and become better Duelists under his guidance and leadership. Jack stands alongside his ace, "Red Dragon Archfiend". 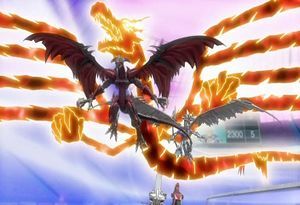 Jack uses a Power Deck, centered around Synchro Summoning his "Red Dragon Archfiend". Due to his personality, Jack centres a lot of his tactics around his "Red Dragon Archfiend", supporting it with cards such as "Lineage of Destruction" and "Crimson Fire". When fighting the Dark Signers, Jack used cards such as "Battle Fader" and "Crying Ogre" to counter the attacks of their "Earthbound Immortals". After his loss to Andre and acquiring "Red Nova Dragon", Jack shifts his strategy to being more flexible and less reckless, primarily focused on easily swarming the field with material for his "Red Nova Dragon" through cards such as "Tuner's Reflect" and his "Resonators". In Evolving Duel! Stardust VS Red Demons, Jack's Turbo Deck focuses on Summoning "Red Dragon Archfiend/Assault Mode". ↑ 1.0 1.1 Yu-Gi-Oh! 5D's episode 1: "On Your Mark, Get Set, DUEL!" ↑ Yu-Gi-Oh! ARC-V episode 54: "City 'Scape"
↑ Yu-Gi-Oh! 5D's episode 154: "Shining Forth to the Future"
↑ Yu-Gi-Oh! 5D's episode 69: "A Duel With Interest"
↑ Yu-Gi-Oh! 5D's episode 114: "Operation: Capture Yeager II!" ↑ Yu-Gi-Oh! 5D's episode 115: "Press Him About the Mystery! The Endgame Riding Duel!!" ↑ Yu-Gi-Oh! 5D's episode 105: "Rook Takes Knight"
↑ Yu-Gi-Oh! 5D's episode 124: "Duel For Redemption"
↑ Yu-Gi-Oh! 5D's episode 120: "Hold onto Those Feelings! Hand-Holding Djinn"
↑ Yu-Gi-Oh! (bunkoban) Volume 21: afterword. ↑ Yu-Gi-Oh! 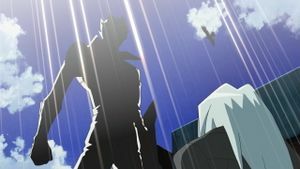 5D's episode 153: "Clashing Souls!" ↑ Yu-Gi-Oh! 5D's episode 59: "Shadows of Doubt, Part 2"
↑ 1.0 1.1 1.2 This card is sent from his Deck to the Graveyard by the effect of "Dark Diviner" in episode 29. ↑ 2.0 2.1 He borrows this card from Marco's Deck for his Duel against Don Piero in episode 69. ↑ 3.0 3.1 This card is sent from his Deck to the Graveyard by the effect of "Shield Worm" in episode 29. ↑ In the TCG/OCG this card is not a Tuner monster. ↑ He borrows this card from Kaz in episode 76. ↑ He acquires this card through the ability of Blazing Soul in episode 113. ↑ 7.0 7.1 This card can be seen in his hand in episode 29. ↑ This card can be seen in his hand in episode 113. ↑ 9.0 9.1 9.2 9.3 9.4 This card is played by Fake Jack Atlas, who was said to use a replica of the real Jack's Deck. ↑ 10.0 10.1 10.2 This card can be seen in his hand in episode 111. ↑ This card is not usually present in his Deck, but appears on top of it when the Crimson Dragon deems it necessary and the five Marks of the Dragon gather on him. ↑ He receives this card from Yusei in a flashback in episode 83. ↑ He stole this card from Yusei in the past, shown in a flashback in episode 25. It is later returned to Yusei in episode 14. This page was last edited on 5 January 2018, at 13:41.